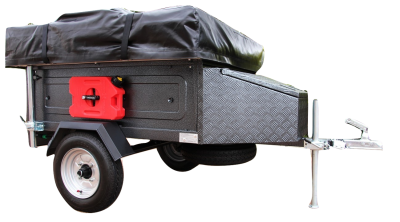 Standard Roadster includes nosecone toolbox, spare wheel and fixed coupling. 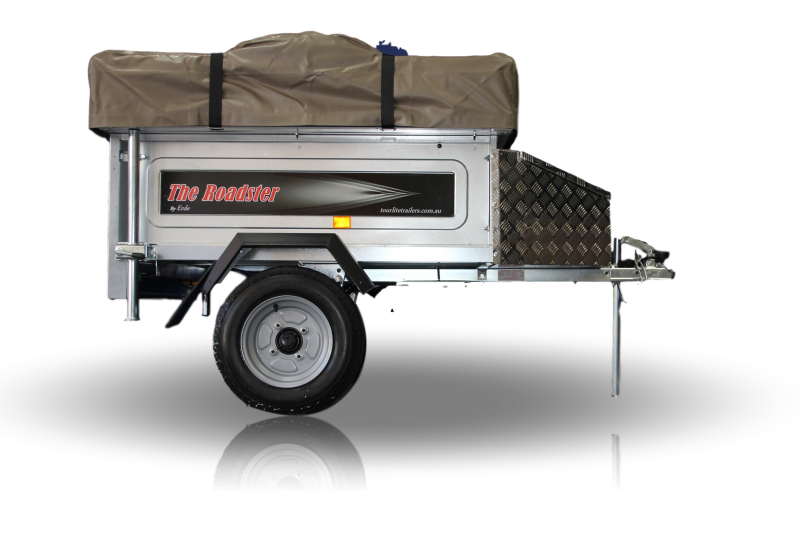 The height of the trailer is as the trailers comes from the factory and is best suited to being towed by both cars, small 4WD's and most Trikes. Lowered by 65mm the adjusted ride height is better suited to the majority of two wheel motorbikes due to the lower towball height installed on these bikes. 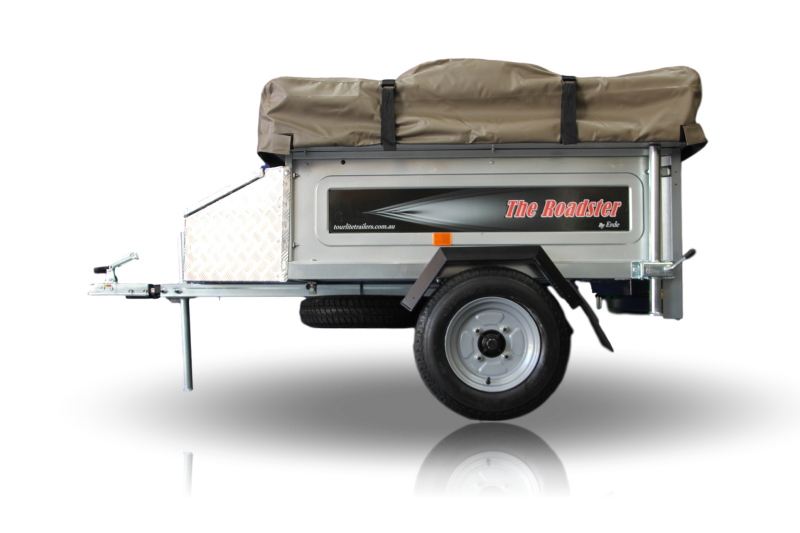 Additionally the coupling is attached to a 360 degree swivel hitch giving full movement when cornering etc. 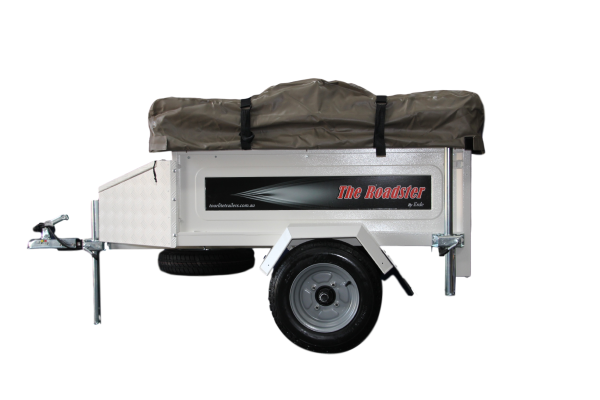 As with the standard Roadster the nose cone toolbox and spare wheel is included. (2.4 mx 1.5m). 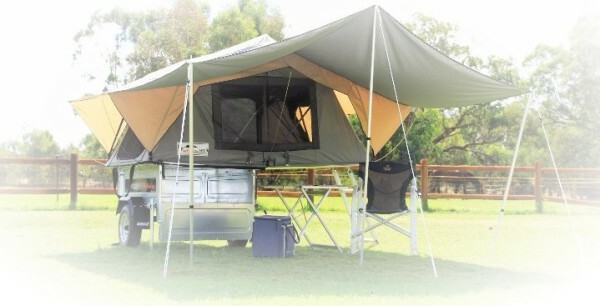 Complete with retractable aluminium poles, guide ropes and stakes, the awning kit folds folds up into a 50cm x 20cm bag and takes up little to no room when packed away. Setup is less than 3 mins. Not big on the standard electrplate galvanised finish? Have your Roadster fully powder coated to compliment the colour of your bike. A robust hammer finish also ads further protection to the trailers surface as well as making it easier to clean. 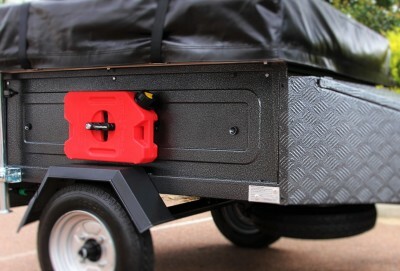 Dual side panel mounted 5 litre Jerry cans with easy to remove latches. Providing the backup 10 litres of fuel for the longer trips. Centrally mounted to assist with balanced weight distribution.